A tennis bracelet is a popular bracelet design that has remained timeless and fashionable for many years. 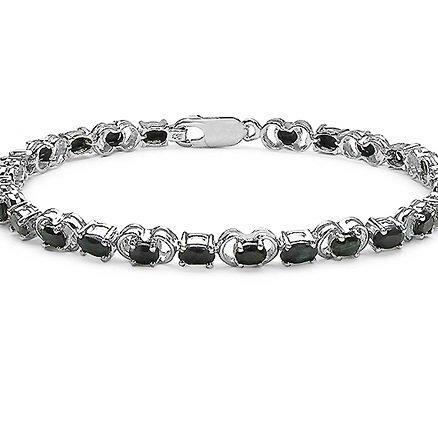 Although each bracelet may have slight variations, the basic design on the tennis bracelet is a complete circle of set stones that goes around the wrist. The most popular stone for this style of bracelet is the diamond. Other stones can be used in the style and design of these bracelets including combining different stones to create an interesting and beautiful look. The metal can be sterling silver, gold, rose gold or white gold for a finer bracelet, tennis design. The majority of these styles of bracelets will have a clasp and the more expensive and finer types will also include a safety chain to keep the bracelet on the wrist in case of clasp failure. Many designers have released their own version of this popular bracelet and it's understandable why. These are timeless pieces of jewelry that most women adore and cherish. They are the perfect gift anytime, for any occasion or any reason. As mentioned above, the base of these bracelets can be any type of metal. Gold and platinum are the most expensive choices and can come is yellow, rose or white. Most people will go with yellow or white gold because it is the most common gold colors used in these types of jewelry pieces. Platinum can be quite expensive and rose gold isn't commonly used in these types of pieces. Another choice for the metal base of a fine tennis bracelet is sterling silver. The sterling silver bracelet usually comes with semi-precious or synthetic stones. 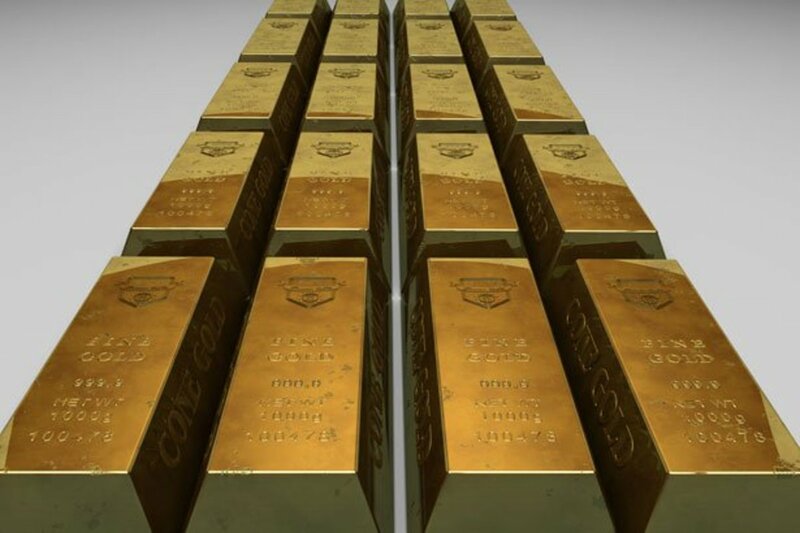 It is an alternative to the more expensive options of gold or platinum that is a better fit into most people's budget. 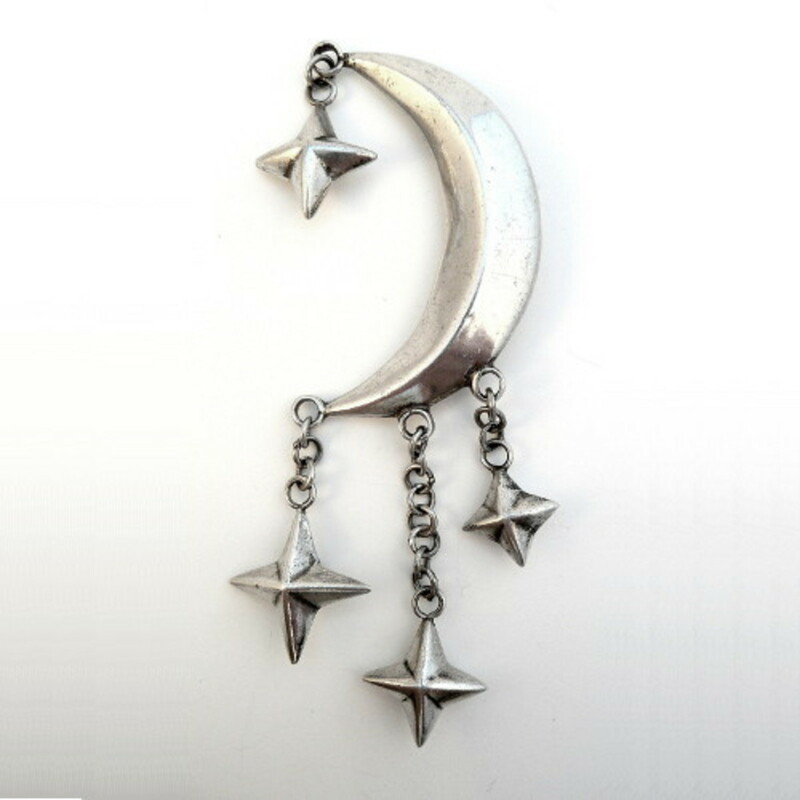 The bracelets made of sterling silver are no less beautiful, they are just currently the more economical choice. The timeless beauty of these bracelets can quickly become tarnished by large, low quality stones. 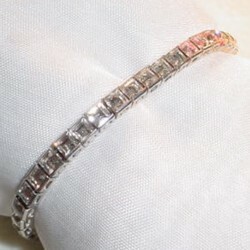 When looking at purchasing a tennis bracelet, you should take the color and clarity of the diamonds into consideration. Better quality and larger stones will add to the initial cost of the bracelet but will also add to the value of the bracelet down the road. With larger stones the clarity and color are important because any flaws or cloudiness will be easier to notice in the larger stones. Occasionally it may be a wiser decision to go smaller if the stones are better. Less than 1 in 5,000 diamonds receive this rating. Flaws are visible under 10x magnification but can not be seen with the naked eye. Flaws are still not visible to the naked eye. I1 flaws are almost always visible to the naked eye. I2 and I3 diamonds will have durability issues caused by flaws in the stone. How Much Does a Tennis Bracelet Cost? When looking at the cost of a tennis bracelet, the sky really is the limit. The price you can expect to pay will depend on the base metal and stones used in the bracelet construction. A 5carat diamond tennis bracelet with a platinum base metal will cost considerably more than a 3carat amethyst tennis bracelet in a sterling silver base metal. 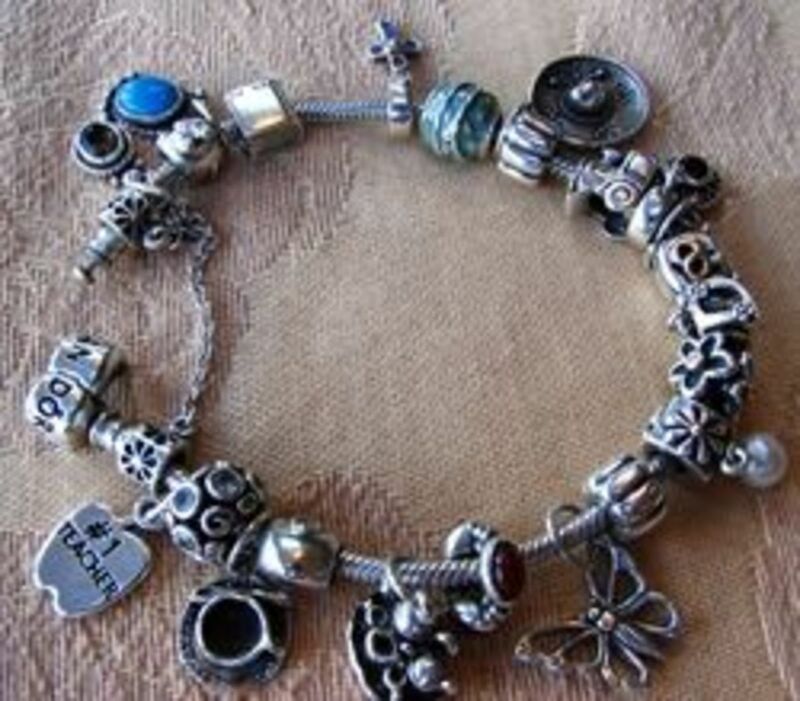 They are both beautiful bracelets but will be considerably different in cost. It would be best to stick to your budget when picking out one of these bracelets. 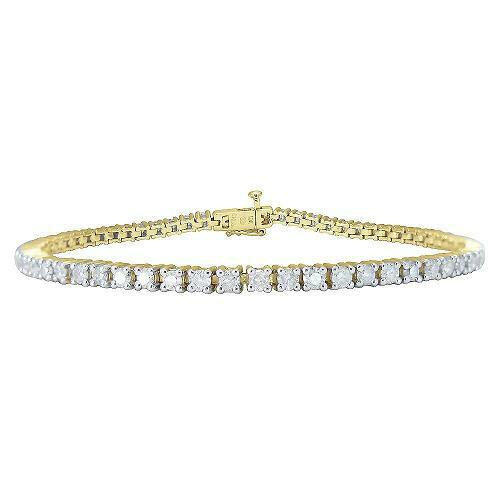 With the wide variety of options available, there will be a tennis bracelet that will fit into any amount of money that you are wanting to spend. That is another one of the beauties of these timeless bracelets, there really is one that will fit into any budget! The sterling silver and genuine sapphire tennis bracelet featured on the right is a great example of a quality tennis bracelet that is available for a budget price. The stones are genuine and the metal is durable. This tennis bracelet would be a perfect gift for a young lady's birthday, Christmas or for any special occasion.